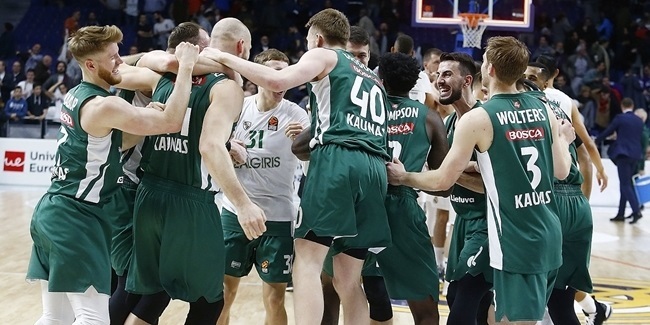 The basketball machine that Zalgiris Kaunas has built never stops working. Summertime may be a time for the professional players and the coaches from the senior team to catch their breath after a magnificent season that saw the club reach the Turkish Airlines EuroLeague Final Four and successfully defend its Lithuanian League and Cup double, but for the junior team coaches and talent scouts, the summers are busy. This summer a new event was added to the Zalgiris calendar with the maiden Zalgiris Invitational Camp in Denmark. The camp is a product of Zalgiris's collaboration with the Danish Basketball Federation and Stenhus Basketball College. In late June, 50 children attended the four-day camp in Stenhus, which was staffed by Zalgiris junior team coaches Tomas Masiulis and Darius Sirtautas and project coordinator Gediminas Navickas. "Our immediate goal is to bring all the most promising Danish youth players to the camps," Navickas explained. "After all, basketball has no walls. Prospective players may appear in non-basketball countries. 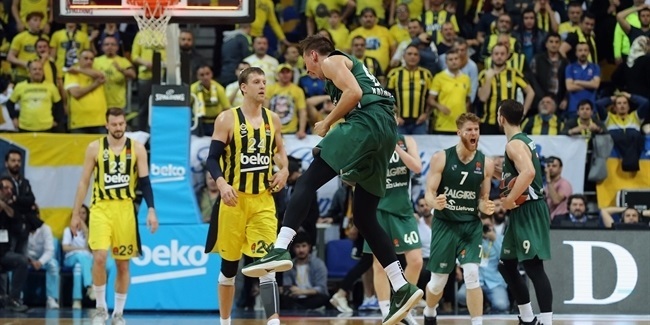 The goal for Zalgiris is to see them as early as possible. And in this camp, I saw some young players whose development will be interesting to watch in the future." The camp had two age groups, one for 14 and 15 year olds and the second for 18 and 19 year olds and was deemed to be a success with the campers, all of whom hailed from Denmark, absorbing the high-level coaching and coming away with marked improvements. 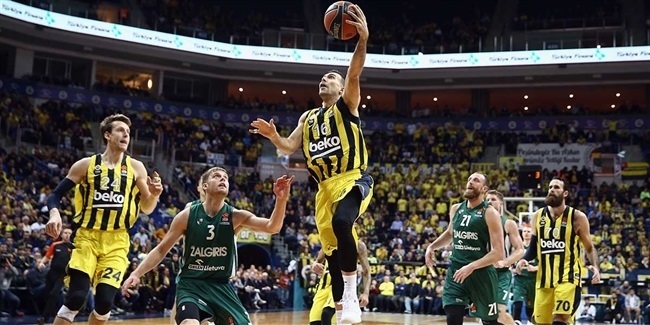 All signs point to similar Zalgiris camps in Denmark in the future. "The first goal of the first camp was to introduce Danish players to the main principles of the Zalgiris basketball system," Navickas said. "The Danish players' individual basketball skills were positively amazing. Many did a great job of performing individual skills demonstrated by Coach Sirtautas, although they were not easy. It was harder for the players to grasp the teamwork, but the coaches were pleased with the players' desire and improvement during the camp." Closer to home, the club welcomed 26 promising prospects from around the country as well as some Latvia, Estonia, Denmark and Germany for Zalgiris Talent Camp. From June 18 through 26, the players were worked hard in practices run by Zalgiris junior team coaches and athletic coach Justinas Grainys from Zalgiris's senior professional team. Among the many things that separates Zalgiris Talent Camp from the rest was an interesting trip to a Lithuanian Army battalion, where the campers learned how important hard work, teamwork and leadership are in that setting. They visited the shooting range and tackled the army obstacle course, too. Coach Ainars Bagatskis also ran a session at the camp and current and former Zalgiris players Edgaras Ulanovas and Donatas Motiejunas made guest appearances, too.